Trendy tartare gets a vegan remake in this eye (and palate!) pleasing recipe that will be a hit with any crowd! Instead of raw beef, this tartare is prepared with perfectly roasted beets. The beets are diced and combined with jalapeno, scallions, vinegar, soy sauce, ginger, and sesame oil. 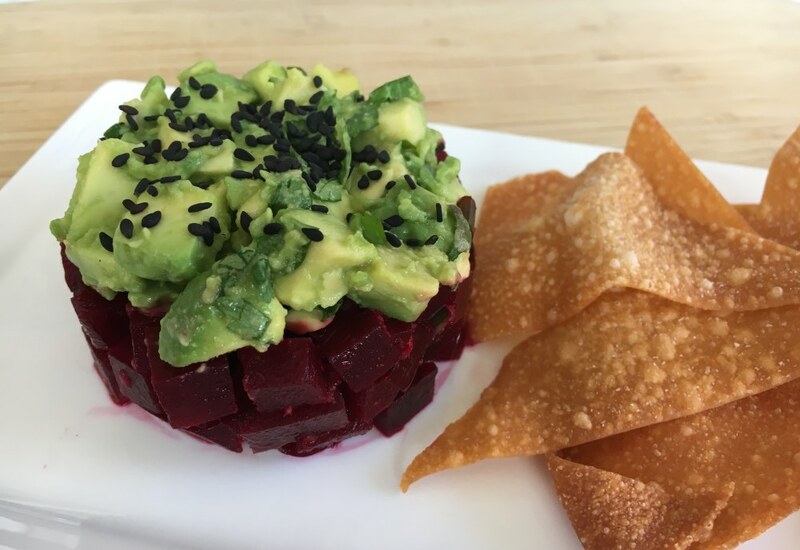 Each serving of beet tartare is topped with avocado, cilantro, and lime. Serve with crispy wontons for a restaurant-quality appetizer! Short of time? No problem! You can replace the crispy wontons with your favorite crackers or tortilla chips. Per Serving: 408 calories; 31g fat; 26.5g carbohydrates; 13g protein; 0mg cholesterol; 659mg sodium. This was a fun recipe to make vegan, especially since my wife has been looking for new plant based recipes. My favorite aspect of this dish was definitely the avocado and the crispy wonton chips. I love playing around with vegan dishes. 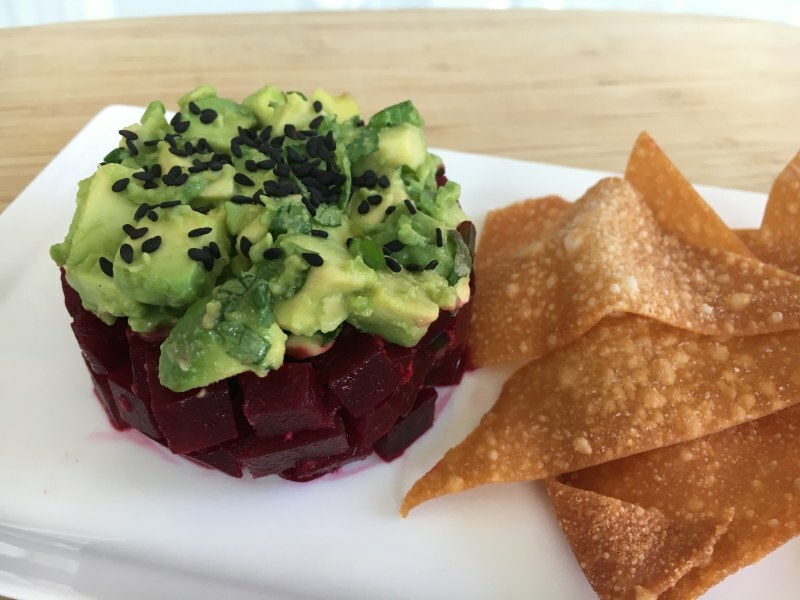 This beet and avocado tartare was really delicious, but I especially loved the wonton wrapper chips. So good!